Without doubt my home county of Dorset is extremely rich in its diversity of landscape. With a coastline of World Heritage status featuring such unique elements as Chesil Beach and Portland Bill to the rolling chalk hills of its hinterland and the rich pastures of Blackmore and Marshwood Vales, there are views which have delighted travelers and inspired artists. Wordsworth and Turner have succumbed to Dorset’s unfolding landscape and Dorset’s great heaths have also been immortalised in the novels of Thomas Hardy. Within this varied landscape are other pockets of history, colour, and inspiration. 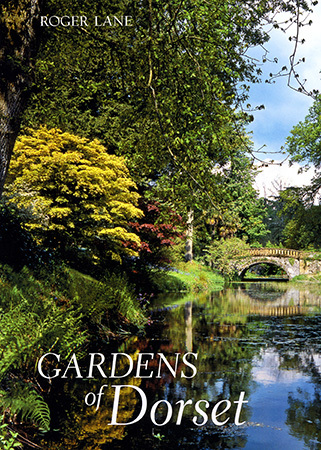 These are the gardens of Dorset, many of which have been influenced by the sometimes subtle changes in scene, perspective and natural elements across the county. Those created out of history inevitably surround a manor or estate while those created by the existence of natural elements can provide some surprises. 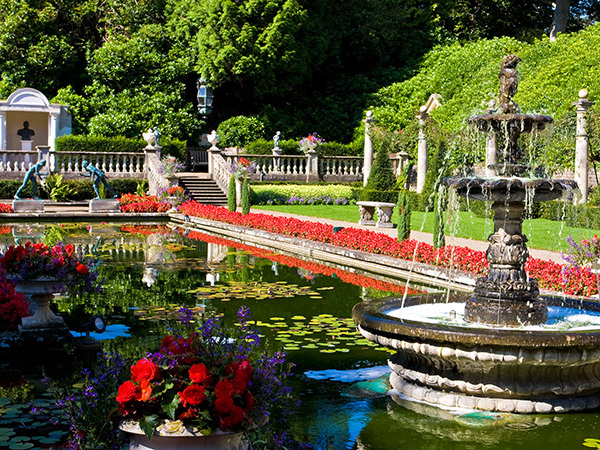 Who would expect to find a frost free sub-tropical paradise within sight and sound of the English Channel, yet only minutes away find a true English country garden full of roses and peonies? Dorset certainly receives its fair share of sunshine, not a particularly heavy rainfall but of course the inevitable sea mists. The coastline provides fresh sea breezes even in the hottest of summers, providing a subtlety of temperature without humidity. 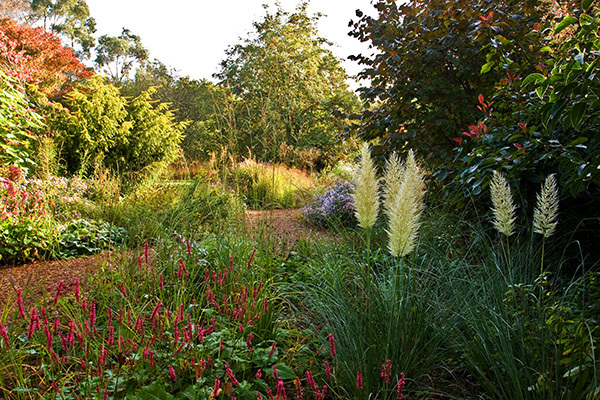 This rather gentle climate can be regarded by many gardeners as almost perfect. However, there can be rare moments of extreme when Dorset gardens have suffered the ravages of severe gales. 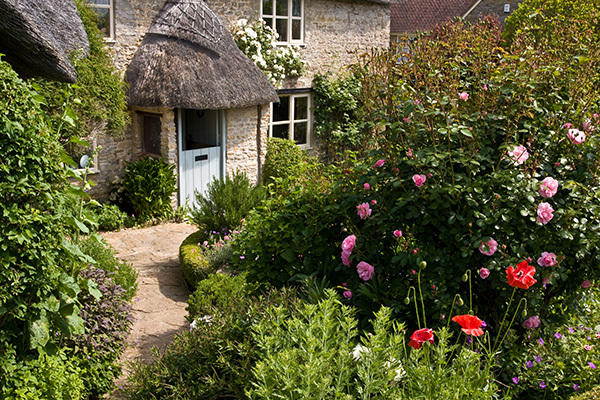 Within its nine hundred square miles Dorset’s soils provide the lifeblood for its gardens. The chalk down land runs from Shaftesbury south west towards the coast at Lyme Regis. Clay can be found in the vales and river valleys where it varies constantly from the Kimmeridge clay in the south to the Oxford clays in the north and east. Sandy soils are another vital element of Dorset’s structure and this gives rise to the wonderful variety of landscape and scenery, providing a natural backdrop to some of the most beautiful gardens Dorset has to offer. In the book I have sought to provide a pictorial register of many of those gardens, most of which are included in the National Garden Scheme (NGS) and their famous ‘Yellow Book’. 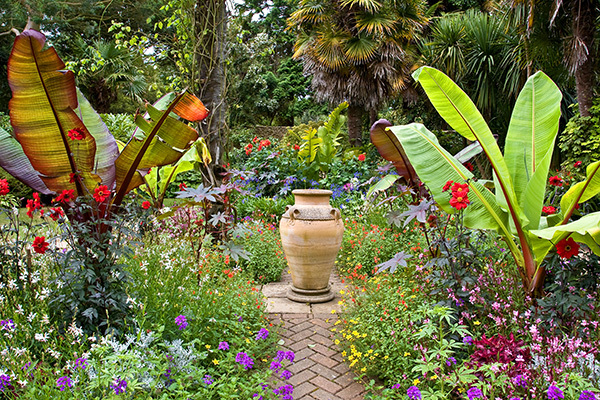 This scheme allows talented gardeners to exhibit their enthusiasm and creative abilities by opening their gardens to the public at designated times throughout the year. Most of the gardens in the NGS are privately owned and raise more than £millions annually for the NGS designated charities. At the time I photographed the book there were more than ninety gardens in Dorset who open to the public under the NGS scheme. Regrettably it was not possible to feature all of them in the book. 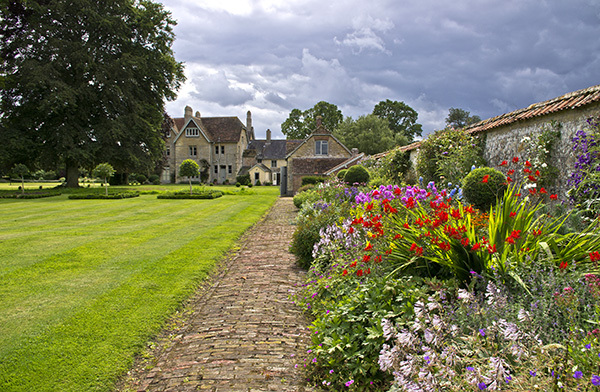 Indeed a number of Dorset’s feature gardens have not been included at the owner’s request, wishing to provide their gardening pleasure to visitors in their own personal way. However, those gardens accepting our invitation have provided a rich tapestry of colour and design, ranging from the historical and formal through Mediterranean and far eastern cultures to the more rural and traditional. On a more personal note I was delighted to be asked by the NGS to continue photographing Dorset gardens for them for publicity uses after the book was completed.